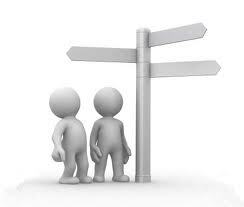 We need direction and guidance! Let’s begin with an excerpt from a comment from a U.S. citizen living outside the United States. What’s a poor expat to do? The mainstream media pounds away, stoking the flames of fear, informing U.S. persons (these include citizens and green card holders) abroad that: “The clock is ticking on filing with the IRS” (this is one of many examples). The mainstream media appears to be issuing press releases for the IRS. (Perhaps the mainstream media is the “IRS presence in Canada” – check this out.) Recently the “Isaac Brock Society” wrote a press release about OVDI 2012 and circulated it to the mainstream media. It has not been acknowledged. YES! YES! YES! – – – PAY! PAY! PAY! Just tell us how! Tell us how and we will do our best. Here are two of the obvious points that I missed (and I am sure there are more). First, the financial cost of compliance is more than almost anybody can bear. I posted on this yesterday. Second, the IRS is the biggest obstacle to compliance. I realized this after having read today’s Globe article by Barrie McKenna. “The rules applicable to non-US residents are intractably complex. The IRS has communicated with people primarily through the three OVDI programs (2009, 2011 and 2012). It is understood (and is clearly true) that the IRS has designed these voluntary disclosure programs for criminals and presumes criminality on the part of those who enter them. Each of these communications contains a small section (within the larger discussion of criminality) that speaks to the “minnows” who are clearly not criminals and in most cases have conducted their lives in a prudent manner. The parts of the communication that are directed to the “minnows” are at best “fine print”. To put it simply: the IRS will not talk to U.S. citizens living outside the U.S. It was and continues to be unconscionable that the IRS communicates with “minnows” in the same vehicle/announcement that it uses to communicate with the criminals. OVDP -2009: It was all about the criminals. Lawyers took comfort in FAQ 35 which seemed to allow for a taxpayer to argue reasonable cause. The legal community understood it in this way. The taxpayers understood it this way. Two years into OVDP (on March 1, 2011) the IRS made a decision to treat all taxpayers who entered OVDP as criminals. This precipitated the TAD issued by Taxpayer Advocate which Mr. Shulman has until January 26, 2012 to respond to. But, my point is that there was little or nothing in the description of OVDP which instructed the honest taxpayer on how to come into compliance. During the summer and early fall of 2011, it was becoming clear that the fear and panic experienced by U.S. citizens in Canada had reached a “fever pitch”. It was on the way to becoming a diplomatic problem for the United States. On October 18, 2011 the U.S. Ambassador to Canada – David Jacobson – made a speech in which he advised U.S. taxpayers to “sit tight” that a solution would be forthcoming. That solution never came. Interestingly, my interpretation of this was that by emphasizing “reasonable cause” (instead of penalties) that the IRS was providing some guidelines for how to come into compliance. The “cross border professionals” immediately informed us that this was nothing of value. Mr. Shulman: we need those procedures and we need them now! We are now in 2012. The 2011 filings are due soon! These “procedures” are coming very late. Will it even be possible for taxpayers to come into past compliance before before the 2011 filings are due? Some “cross border professionals” have advised (in certain circumstances) for taxpayers to wait and see what the procedures are. We are running out of time! Today is January 17, 2012. The biggest obstacle to U.S. citizens coming into compliance is a lack of direction from the IRS. I was recently introduced to Taxpayer Advocate. What is that? I see them as the “good cop” of the IRS. (You already know the “bad cop”.) Taxpayer Advocate is the division of the IRS that exists to assist the taxpayer who is having difficulties with the IRS. This is a fascinating read – settle in for the evening. You will find it discussed here. In particular, you should read the report starting from page 63. Page 110 – Begins a specific discussion about U.S. persons in Canada. The complete is worth reading. The bottom line is that it is highly critical of the conduct of the IRS during OVDI in general. Furthermore, it is very critical of the failure of the IRS to distinguish “minnows” from “whales” and to provide clear guidelines for how “minnows” can come into compliance. An interesting post on the Taxpayer Advocate Report may be found here. The failure of he IRS to provide clear guidance for how U.S. citizens and dual citizens living outside the United States is a “large-scale or systemic problem” that surely affects many taxpayers. There are approximately six million U.S. citizens living outside the United States. I believe that it is time for Taxpayer Advocate to become involved. U.S. citizens and dual citizens residing outside the United States should ask Taxpayer Advocate to issue a directive (“TAD”) to force the IRS to publish and administer: fair, transparent, equitable and reasonable procedures to allow the them to come into past compliance and make it possible for them to be in ongoing compliance. Without this guidance, U.S. citizens will be forced to “Renounce U.S. Citizenship“. In the interim: enjoy the obligations of U.S. citizenship. This entry was posted in Citizenship-based taxation, FATCA, FBAR and reporting, OVDI Compliance, Renunciation on January 17, 2012 by renounceuscitizenship.